Super Junior’s Ryeowook finished his mandatory military service Tuesday. Thanking fans and friends for helping him finish his duty successfully at the special operations command in Jeungpyeong, North Chungcheong Province, the artist said, “Hello, I’ve returned to Super Junior’s Kim Ryeo-wook from Sgt. Ryeo-wook. Thank you for coming, and please support our upcoming activities as a group.” The discharge ceremony was attended by a flock of fans, media and his bandmates Donghae, Eunhyuk, Siwon and Lee Teuk. Asked what he wants to do most after stepping out of the base, he said he wants to go on a trip with the members. “I used to sing a lot in a marching band in the Army, and I really want to sing again as a Super Junior member,” he added. With Ryeowook’s discharge, ten members of Super Junior have completed their military service, while Kyuhyun will be discharged in May next year. 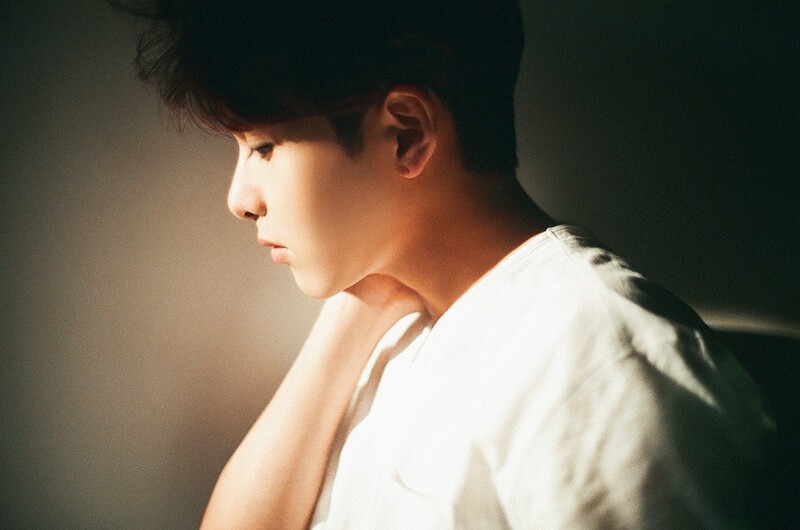 Having debuted as a member of Super Junior’s vocalist in 2005, Ryeowook has also been active as a radio DJ and a musical actor. He released his first solo album The Little Prince in January 2016. Upon being discharged, the artist will resume his activities by holding a fan meeting titled “Return to the Little Prince” at the SMTOWN Theater inside COEX Atrium in Seoul on Thursday. Ryeowook began his military service in October 2016.